Discussion in 'The Green Dragon' started by Erestor Arcamen, Oct 18, 2018. It's almost Halloween, one of my favorite holidays! So I wanted to see what my fellow TTF'ers like to watch in the realm of horror. I personally really like the old Hammer movies, classic horror films and B horror movies that are super cheesy. I don't really like gory stuff at all but I do like the Halloween movies, at least the first three, including Season of the Witch. This weekend actually, I'm going to a movie convention. They always hold it in the summer and have another one in October for Halloween and I've been going for at least 10 years now. I think one of my favorite horror movies though is The Shining. It just never gets old for me. This year on my list to watch is Spider Baby, which is an awesome movie and Carnival of Souls, one of my favorites. I also really like Alfred Hitchcock movies like Psycho and The Birds. Recently I've also been watching The Haunting of Hill House on Netflix. It's pretty good but not as scary as some people have been saying. I've seen articles that say people are passing out due to it which kind of makes me laugh more than anything because it's really not that bad in my opinion. So let me know what you all like to watch for Halloween! If you want cheesy, the go-to guy is William Castle: House on Haunted Hill, 13 Ghosts, and many others. I still regret not seeing The Tingler in a theater; the impact must have been incredible, especially in the ones equipped with the "buzzer seats". And of course there's Ed Wood. For classics, the early Universals are a must: Dracula has come to be recognized as awkward and stodgy, after the excellent first reel, but the restored Spanish-language version is well worth watching -- much more fluidly directed, and the ladies are sooo much sexier -- (Lupita Tovar! -- sigh). I think my favorite from that era is The Black Cat -- such an atmosphere of inevitable doom, and unspoken evil. And The Mummy is still great. The inheritors of Universal classiness were the Val Lewton horrors from RKO, in the 40's -- all of them worth watching. Cat People and I Walked With a Zombie are well known, but they're all worth seeking out; I'll mention The Seventh Victim and The Leopard Man as two of the more obscure ones that convey the sense of fear and horror without showing it. Of course, some of the Lewtons were directed by Jacques Tourneur, a master of creeping uneasiness. A 50's favorite of mine was one of his: Night of the Demon. In fact, he fought against showing the "demon" at all, and did so only under pressure from the studio. Another 50's classic: the original Invasion of the Body Snatchers, although it's strictly more Science Fiction than Horror. Interestingly, it's another example of a director bowing to pressure from the studio: the framing story (and, I believe, the narration) were later additions imposed on Don Siegel, much against his wishes. The film originally ended with a crazed Kevin McCarthy shouting "You're next! You're next!" at the camera. I don't know if I could have survived that, as a kid. From the 60's, we have, in addition to the Hammers and William Castle, the Poe cycle Roger Corman did for AIP. Of those, I would single out the last in the series, The Tomb of Ligeia, both for reasons of personal history, and because it is simply special. Apparently Vincent Price thought so too, as it is possibly the only one of his horror movies he played completely straight, rather than in his usual arch, winking-at-the-audience style. After that, I'm afraid my experience with horror films tails off; I never was a fan of splatter movies, in either their 70's or modern versions. Of course, if I wanted to have a truly horrifying movie experience, I suppose I could have a marathon session of all the PJ films. Yup I love William Castle. Charles Herbert, who played in 13 Ghosts (another favorite!) Had come to the movie convention I linked above multiple times. He was always very interesting to talk to about movies he was in. And yes, I love the old Universal films too. Night of the Demon is definitely a good one! I think Peter Cushing is probably one of my favorite actors but I also like Boris Karloff alot too. 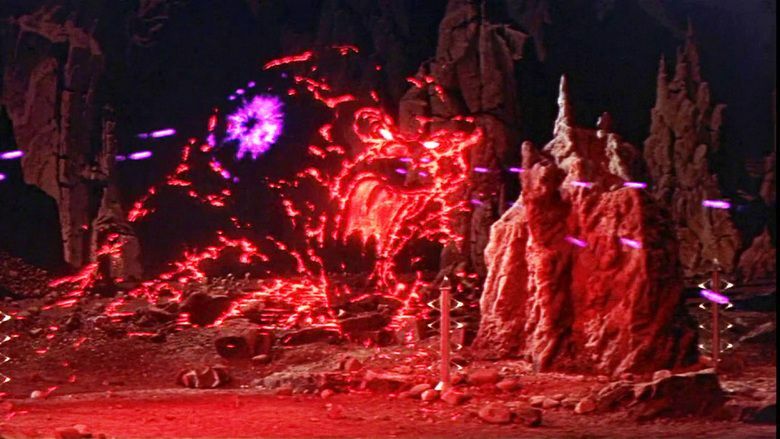 My favorite science fiction movie of all time is Forbidden Planet. I love the soundtrack and the backstory of the Krell. I think a prequel story would be amazing about how they wiped themselves out from their subconscious and technology. Yep, that's a fave for me too. And IIRC it's another one where the director didn't want the monster to be seen.